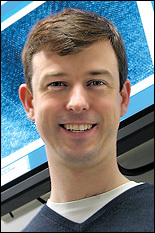 Department of Materials Science and Engineering (MSE) assistant professor John Cumings will serve as the group leader of one of the University of Maryland Energy Frontier Research Center's (EFRC) four research thrusts that seek to substantially improve the storage capacity of lithium ion batteries. 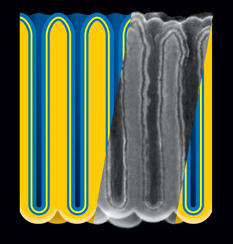 Together with co-leader Tom Picraux of Los Alamos National Laboratory, Cumings will lead Thrust B, "Self-Healing Nanostructures for Electrodes," which will explore the use of silicon nanowires in the batteries' anodes. 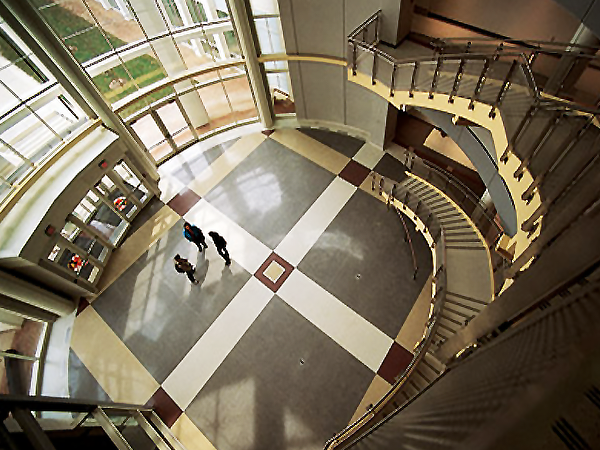 The University of Maryland was awarded the EFRC designation by the Department of Energy in May. The Center enlists faculty from across campus and collaborators from around the country to address a central goal of using nanotechnology to create new electrical storage technologies that store and deliver more power, charge faster, and will enable us to manufacture smaller, lighter batteries. Currently, lithium-based batteries do not see widespread use in cars and other machinery for several reasons, including their low discharge (power output) rates, that they are not considered safe enough for highway use, and that some of the materials used to make them have a relatively low level of sustainability. The Maryland EFRC hopes to address these problems. Cumings and his collaborators will focus on the anode, or energy storage portion, of the battery. The most common storage material for lithium battery anodes is carbon. One lithium atom can be stored for every five or six carbon atoms. If silicon is used in the anode, however, the ratio changes drastically: four lithium atoms for each silicon atom. Unfortunately, simply switching materials isn't enough to create a solution. "The problem is that when you try to store that much lithium, the silicon expands, and when the lithium is removed, the silicon collapses and crumbles after only a couple of charging cycles," Cumings explains. That's what happens at the micro- and macro-scales, but it may not be the case if the team thinks small. This is because materials' behavior changes at the nanoscale, sometimes so dramatically that the usual rules no longer apply. "If we can nanostructure the silicon to expand in some dimensions while not in others, it could keep its structure during the cycling of the battery," says Cumings. 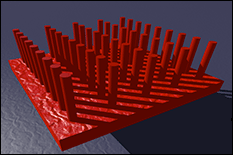 "Using silicon nanowires is one possible way to realize that—they will be stronger and more flexible." Scientists have known about the high lithium-capacity of silicon for over thirty years, but it's only now that nanotechnology has caught up enough to make silicon battery electrodes a possibility. 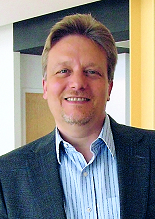 Cumings' knowledge of the mechanics and properties of nanoscale structures, combined with his expertise in testing materials in realtime and in situ in transmission electron microscopes (TEM), will help give his group the ability to directly observe the nanowires and record how their properties change before and after lithium insertion. In addition to Cumings, the EFRC Thrust B team includes Assistant Professor Chunsheng Wang (Department of Chemical and Biomolecular Engineering); Assistant Professor Yuhuang Wang (Department of Chemistry & Biochemistry), Dr. Thomas Picraux (CINT Chief Scientist, Los Alamos National Laboratory), and Professor Mark A. Reed (Departments of Electrical Engineering and Applied Physics, Yale University). The Weird World of "Remote Heating"